01/15/19 - Dr. Jack Stockwell - What's Really Bad About Fast Foods? 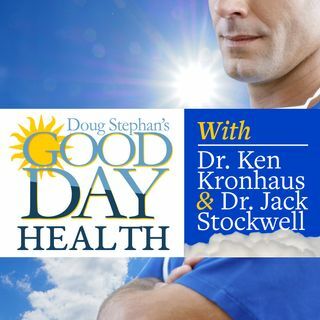 Host Doug Stephan and Dr. Jack Stockwell www.forbiddendoctor.com discuss the reasons that many Pet Foods have been ruined. Next, learn about Oncology works and Chemotherapy and Radiation are bad for you. New Diabetes test strips are very affordable and pretty accurate. Then, Doug and Dr. Jack discuss the many reasons why Fast Foods are bad for you. Plus, lots more information about maintaining your Good Health.